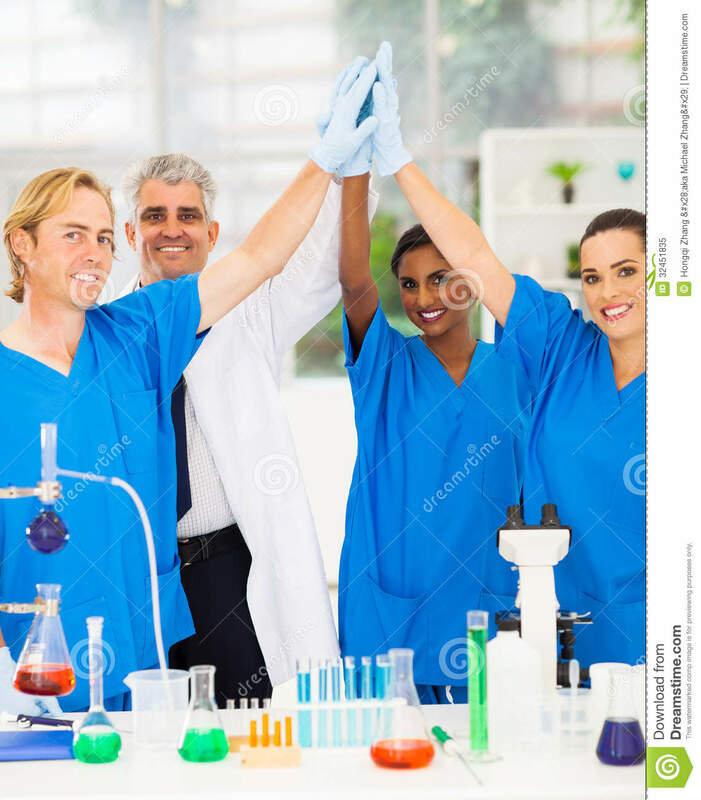 Safety first: scientists always wear gloves before high-fiving. At least in stock photography. I’m taking a group picture with my lab, and we look like an advertisement for cultural diversity. We line up like those models of different skin tones, a rainbow row of smiling faces, only we have a little less sleep and a few more pairs of glasses. A Christian, a Jew, and a Muslim walk into a lab – must be another Monday. Or a Sunday. We’re not the best at work/life separation. In between experiments and cleaning the beakers, we take turns cooking different cuisine for each other from India, Iran, Israel, Korea, China, and the frozen food section of Costco. We talk about which countries our families are in, what life is like there, and try to understand the impact our governments have on each other. One thing we rarely talk about is our different religions. But when we have to sacrifice a mouse, I found that we each said a different prayer. Our lab was working with mice to tease apart how the autistic brain develops. To do that, we needed to examine the inside of the mouse’s brain, which means at some point we had to sacrifice the mouse. I thought a lot about the ethics of our work, and I wrote more about this in the intro to this series. It’s a project I believe in, but sometimes it was still emotionally difficult. Other times sacrificing a mouse was routine, and that felt worse – I didn’t want to forget to appreciate the life I was working with. My life is informed by Judaism, and one tradition that I love is saying short prayers during daily tasks. It has a way of keeping routine special. Judaism has a prayer for everything – after eating, before eating, before eating fruit, before eating non-fruit produce, before eating bread, after going to the bathroom, on seeing a rainbow, after surviving a dangerous adventure (sometimes repurposed for being a passenger with a certain driver) and before going on a trip (sometimes repurposed before taking LSD). The list is extensive, but sacrificing a mouse wasn’t on it. However, there was a prayer in the daily amidah that resonated with me: chonen hada’at. The first two lines are constructed as parallel statements, which is common in biblical poetry. Parallel statements repeat and rephrase each other, evolving an idea. That evolution, combined with multiple connotations of words, leads to extra layers of meaning. For example, the first line ends with us thankful for receiving da’at (knowledge, science) while the second line rephrases it – now we receive binah. A common translation of binah is “understanding,” but the root of the word is the same as “to build,” and that makes me think of a shift towards applied knowledge. This is using knowledge to do something – to construct a house, or build up a theory. We don’t just learn to know; we learn to build. That’s especially important to justify the use of animal life. So in these two parallel statements, what we receive gets rephrased, and thereby evolved. There’s also a rephrasing of who receives this knowledge. “Humanity” is a bit of a kind translation over the more sexist “mankind.” We are first called “Adam,” then “Enosh,” two primordial male names, which are understood as synecdoche for all their descendants, the human race. But the choice of names here is interesting: the first biblical human, and his grandson. The reference to Adam suggests to me that information is our earliest tool, predating all religion. Rephrasing as Enosh emphasizes the transmission of knowledge from generation to generation. Combined with the previous interpretation of “knowledge” becoming “applied knowledge,” these two lines paint a picture of each generation informing the next, which applies the knowledge of their grandparents to build a better world. We see further by standing on the shoulders of giants. There are many more things going on in this text – Hebrew makes up for a small vocabulary with lots of connotation, and some readers will notice that the verb evolves as well – but that’s my personal reading of the first two lines, which became the prayer that I whispered to myself when I sacrificed a mouse. It reminds me why I do animal research: let this sacrifice be for the advancement of human knowledge, our oldest tool that gives us so much power. Remember that we research not just to know, but to build. When I work with animal life, that’s something I want to remember. She told me what that meant to her, and over lunch I took a poll. We weren’t all religious, but almost everyone said something to acknowledge what they were about to do. Some asked for forgiveness, some hoped their actions were painless, others apologized, gave thanks, acknowledged Shiva the Destroyer, Jesus the Redeemer, or speculated on the reincarnation of the mouse. Each one of us had a way of dealing with the emotional difficulty of sacrificing an animal, and each way revealed another perspective on life. This is part of what I love so much about science – despite our vastly different cultures and traditions, we were bound together by research, this desire to build up the knowledge of the human species. And maybe one day get tenure. It is profound what you write and I must say that I felt naches in reading you! !.Your sensitivity and humility to life est wonderful . I wasn’t sure what to expect when I saw the title, but I really enjoyed the insight and the respect towards animals.